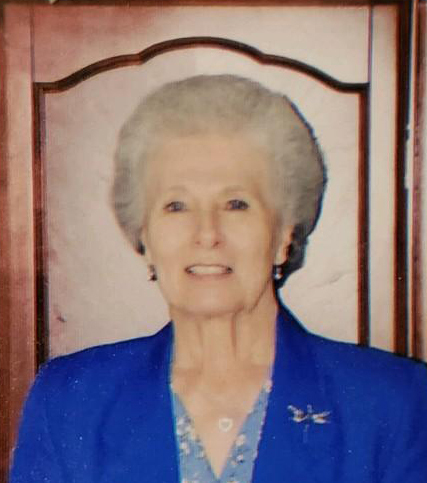 Sylvia L. Marsden Allen, 78, of Albany, GA, died Tuesday, August 28, 2018 at her residence. Graveside funeral services will be held Friday, August 31, 2018 at 10:00 a.m. at Floral Memory Gardens. Born in Montezuma, NY to the late Frank and Ella M. Hunt Marsden, Sylvia had been a resident of Albany since 1969, coming here from Philadelphia, PA. She worked as a baggage screener at the Albany airport for a few years, but her life was wholly devoted to her family, loving and serving them in any way possible. By faith she was a Messianic Hebrew. Survivors include her husband, John Allen, Albany, GA, her son, Ricky Allen, Athens, GA, two daughters, Cathy Frost (Ken), Lee County, GA, Debra Oleskewicz (Joseph), Albany, GA, her brother, Keith Marsden, Stockton, CA, six grandchildren, Heather McAfee, Lanna Lopez, Cherrie Gray, Michael Lopez, Gabriel Lopez, Lindsey Allen, step-grandchildren, Rebecca Frost Kiser (John), Kenneth Frost, III (Tiffany), four great grandchildren, Elijah Swartz, Isaiah Smith, Kayla Swartz, Joshua Lopez, and step-great grandchildren, John Kiser, Bailey Kiser, Olivia Kiser, Gabriel Kiser, and Madeline Frost. In lieu of flowers, those desiring may make contributions in memory of Sylvia Marsden Allen to The Lydia Project, https://thelydiaproject.com.